Portrayer: Alex Canaan, August 4, 1965 - January 30, 1967; December 30, 1969 - January 9, 1970. Arrival: (1969) Came to recruit graduates for his pharmaceutical firm. Introduction Scenes: (1965) At "The Joint," to Lee Randolph (RIP) "Well, it's nice to see you out again. You want to dance?" (Reintro, 1969) To Fred Douglas in his living room, "Sorry to drag you away from work, Dad." Exit Scenes: (1967) With Liz Matthews, Fred Douglas, Alice Matthews Frame, Bill Matthews (RIP), and Lenore Moore at the "Top of the Tower." (1970) To Alice Matthews Frame, on her finding love again, "Sure you will. Sure you will." Relatives: Adelaide (Addie) (RIP), mother. Fred Douglas, father. 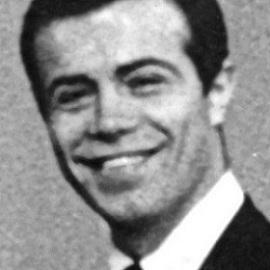 Tony mentioned a sister attending college on the East Coast in 1965. 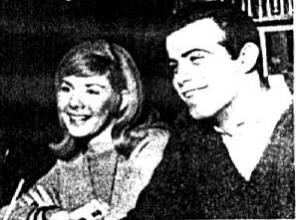 Dates: Alice Matthews Frame (1965-1967) and Lee Randolph (RIP) (1965-1966). Former Occupations: Served in the United States Air Force for two years before starting college.